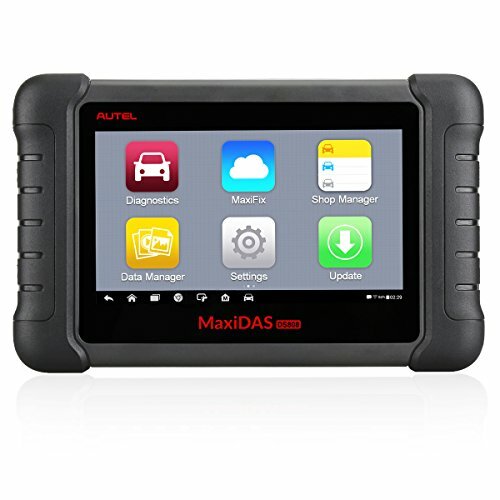 We love the Autel DS708 Automotive Diagnostic and Analysis System, but we have to admit that this device is geared more towards more experienced users. The price is also quite high, especially for novice gearheads. We think that the updates should be free even after the first year, but if you own a garage then the updates will ultimately pay for themselves in the long run. Overall, this is one of the best OBD-II vehicle scanners you can buy for under $1,000. The Autel DS708 Automotive Diagnostic and Analysis System is not an ordinary scanning tool. One look is all it takes to convince you that this OBD-II scanning tool is made for professionals and advanced users, but it is actually easy to use even if you’re a novice user. Yes, the price is a bit high compared to other vehicle scanners. But in the case of the Autel DS708, you ultimately get what you pay for. If you’re looking for an Autel DS708 Automotive Diagnostic and Analysis System Review, then you’re at the right place. This automotive scanner works via Wi-Fi, so you can expect fast and smooth communication between the DS708 and the on-board diagnostics port in your vehicle. You don’t need a separate device like a smartphone or tablet, and you don’t need to worry about compatibility either. The Autel DS708 is equipped with a brilliant 7-inch TFT touchscreen, so all you have to do is plug the OE connector to your vehicle to begin searching for the cause of that pesky check engine light. That’s right. The Autel DS708 offers extensive vehicle coverage for more than 50 vehicle makes and models. It doesn’t matter if you drive an American, European or Asian vehicle. Other vehicle scanners offer limited coverage, and some are designed to work with American cars only. But not the Autel DS708. This baby is designed to easily scan and diagnose the check engine light on any type of vehicle, including diesel cars and trucks. You also get free automatic Wi-Fi updates for a year, but after that you need to pay for specific software updates. But that’s not the best part. The Autel DS708 is designed to work with all OBD-II protocols, including CAN-BUS. It will also work on pre-1996 OBD-I vehicles. If you work in a shop or own a garage, this vehicle scanner is perfect for you, since there is no need to use a separate scanner or an overly expensive OBD-II scan tool. The kit comes complete with OEM-quality PIN connectors for 1996 and newer vehicles, including the BMW 20 PIN connector and the Mercedes 38 PIN attachment. It’s good to know that the Autel DS708 is also equipped with dual-processors for quicker diagnostics and lightning-fast boot times. The operating system comes courtesy of Windows CE. If you love electronic gadgets, then you’ll fall head over heels with the Autel DS708 Automotive Diagnostic and Analysis System. Cheap vehicle scanners will salivate over the touchscreen design, which is wrapped in a strong plastic housing with multi-layered rubber protection and ergonomic handles. It feels good in the hand, and the device feels rigid enough for commercial use. The Autel DS708 can display live CPU data in text, graph or analogue format. Try doing that with an average vehicle scanner. This makes it easier to read the trouble code, analyse the data and make a proper diagnosis. This device can also record and play back live data, making it more convenient to pinpoint sensor troubles and faulty components. If that’s not enough, you can also capture, save and print screenshots for a more thorough diagnosis. If you like working with aftermarket performance parts on your vehicle, this scanner is definitely right for you. We also love the intelligent memory feature of the Autel DS708. For those who aren’t familiar with OBD-II vehicle scanners, having a memory feature is great because it allows you to quickly and easily diagnose vehicles that were previously scanned by the device. It actually remembers the vehicles that you scanned, so you can load the settings in an instant. Read and clear diagnostic trouble codes on all OBD-II protocols including CAN-BUS for newer cars and trucks. Extensive vehicle coverage for more than 50 makes and models, including domestic, European and Asian model vehicles. Component activation, including vehicle immobilizers, key coding functionality and component activation testing. Live data and ECU programming, with an intelligent memory feature that instantly recognizes vehicles that were already scanned by the device. Automatic Wi-Fi updates and data logging. USB connection port so you can connect the device to your laptop or PC if you want to update or print vehicle data. You can also print wirelessly over Wi-Fi. SD card slot up to 4GB. Dual processor technology and genuine Windows CE operating system for smooth and stable performance. Comes with built-in overvoltage protection to prevent damage to vehicle CPU. 7-inch touchscreen TFT colored display offers vivid graphics and an easy to use interface. Solid plastic body with multi-layered rubber protection and textured side grips designed for heavy-duty shop use. 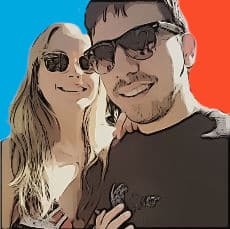 Multi-language support with one year free update online. We enjoyed testing and writing this Autel DS708 Automotive Diagnostic and Analysis System Review. If you have any questions, be sure to let us know!